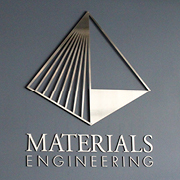 Join the MATE Department for the Annual Materials Engineering Technical Conference on Thursday, May 17th from 8:00am-5:00pm in building 007, the Advanced Technology Lab (ATL). This will be the culmination of the Materials Engineering Senior Project Design sequence which takes place during the last, complete academic year for MATE students. Students may work in teams or individually, and are advised by a MATE faculty member. The projects can be student generated, part of faculty research, or sponsored by industry or community partners. So please feel free to join us for the students’ presentation! Are you between the ages of 18-25? Are you an Asian American Undergraduate Student? If so, participate in an online study about academic experiences and family relationships! Complete an online survey that will take ~20 minutes. As a thank you, you will have the chance to win 1 of 20 $25 Amazon gift card (the odds of winning are about 1 in 15). To participate, complete the online survey! For more questions, contact Stephanie Aoki (skaoki@asu.edu) and check out the flyer! The American Society of Mechanical Engineers is hosting a conference on Saturday May 19th. We will have short, 15 minute talks about topics such as AI Ethics, Light Electric Vehicles, Semiconductors, and Designing for Startups. These talks will be told by a blend of Cal Poly faculty and industry professionals. All majors are welcome! See the attached flyer for more details. Free food will be provided if you RSVP. There will also be a club showcase during lunch. If you have any questions, please email calpolyASME@gmail.com. Join us in recognizing the work of women-identified students in STEM fields at Cal Poly’s 2018 Women’s Science Fair, where women-identified students can showcase their research and senior projects. Employers, alumni, and community members have been encouraged to attend this event, making this the perfect opportunity to talk directly with employers and spotlight your work. Sign up to display your project using this link! Sign ups will close Friday, May 18th. Questions? Contact genderequitycenter@calpoly.edu. Sustainability Task Force (STF) | Mondays | 6PM - 7PM | Bldg 10-231: STF is open to everyone and is a space to identify problems in EWB and collectively create solutions to improve our club. IMPACT | Tuesdays | 11AM - 12PM | Library 216Q (fishbowls): IMPACT organizes volunteering events that unite EWB members and fellow Cal Poly students with local nonprofits dedicated to the community EWB Cal Poly knows and loves. Frisbee IMs | Wednesday | 6:30PM - 9:30PM: Engineers are so well known for their frisbee skills, so come one come all out to our frisbee games to prove that EWBer goobers can hang with the best. Check out the details with the sign up link! Tea Time | Thursdays | 11AM - 12PM | Library 216K (fishbowls): Tea Time is a time to chat with the president and vice president about anything and everything. It’s basically open office hours and we’d love to see you! Look out for our EWB shirts/boxes of tea! Check out our Google Calendar! The James Dyson Award is an international engineering and design competition for students and recent graduates. They reward socially conscious, innovative students and recent graduates for developing meaningful solutions to real world problems. The brief: design somethings that solves a problem. The best invention internationally is selected by James Dyson and is awarded $40,000 prize money. Their university department receives $6,000. Two international runners up receive $6000 each and $3000 is given to the winning project for each participating country. From March 27 through June 20, they will be looking for this year's winners and would love to give the talented students at Cal Poly the opportunity to compete! 2018 DGR Engineering Scholarship is available for those who have completed 45 semester credit hours by June 1 of the current year in an accredited undergraduate engineering or land surveying degree program within the US. DGR Engineering has created this scholarship to promote and advance the engineering profession in this region. Students can receive up to $2000 in scholarship. To be eligible to receive the scholarship, you must have completed 45 semester credit hours by June 1 of the current year in an accredited undergraduate engineering or land surveying degree program within the US and have a minimum GPS of 3.0. Preference will be considered for those in an electrical, civil, environmental, or agricultural engineering program. To apply or for more information, visit the website! The Materials Engineering Department is hiring a part-time Student Safety Officer to assist with safety-related initiatives in our laboratories and with our student clubs and organizations. This is part of the department’s commitment to providing a safe, enabling work environment for all students, faculty, staff, and visitors. The appointment would be for 3 to 4 academic quarters, providing some overlap with a new student who would take over. Therefore, ideally the successful applicant would be at a sophomore or junior stage in their degree, so that they will be able to help train and overlap with a successor – though applicants at all stages of their degree will be considered. Work-related training will be provided, and the student would meet regularly with other staff and faculty to help both parties complete safety-related tasks. Duties will vary throughout the term but could include: routine inspection and maintenance of safety equipment and supplies, documentation and inventorying of hazardous materials, helping to prepare and organize standard operating procedures (SOP) for safe usage of equipment and lab activities, helping develop a system to track safety issues and their resolution, helping students develop their own SOP’s for club activities and projects, working with faculty and staff as part of the safety committee, and defining training and responsibilities for future student safety officers. SRAM LLC has recently started a companywide internship program and are currently looking for applicants for their Global CAD Team Intern and Design Engineering Intern positions in San Luis Obispo. SRAM LLC is one of the world’s largest suppliers of components to the bike industry and continues to promote cycling through its products, its advocacy, and its employees who are dedicated to the cycling experience. For more information, check out the flyer and apply on the SRAM LLC website! LeFiell Manufacturing, an ESOP company, has an opening available for a candidate who would like to work with Aerospace alloys making forgings and specialty tube products in the Los Angeles area. We have captive heat treat and NDT facilities, along with our primary business of forming; forging, roll forming, swaging and extruding. We are experiencing extensive growth in our technical process areas and need an individual who wants to grow as we grow. The candidate could have no experience to 5 years’ experience in the Materials or Metal Processing industries, enjoys customer interaction with Boeing, Pratt & Whitney and most primes. Must be organized and have very good communication skills. Applied Materials is actively recruiting upcoming graduates for our Engineering Rotation Program and Direct-Hire Positions in the Santa Clara, CA office. Interested candidates are directed to email a PDF copy of their resume to University_Relations@amat.com with the subject line “Cal Poly New Grad Applicant.” Any questions about the company or positions may also be directed to this address. We are also actively recruiting summer 2018 interns! The official summer 2018 internships will be opening between January – March, however candidates can already submit an application online to their pipeline requisition (listed on the attached flyer). Any questions can again be emailed to University_Relations@amat.com. For more information, take a look at this flyer! The College of Engineering and Computer Science at the University of Central Florida (UCF) will be adding 100 new funded PhD students across 6 Departments including Materials Science and Engineering (MSE) in Fall 2018. They are looking to recruit high quality students for this program. If you are interested in applying, take a look at the flyer and application website for more info. With the help of a $5 million award from NASA, UC Merced has established MACES (Merced nanomaterials Center for Energy and Sensing), a nexus for promoting functional nanomaterial-based research and education. MACES faculty members are looking for highly motivated students with strong academic performance to join us for Ph.D. graduate study. Students who participate in our program would benefit from multidisciplinary research training, guidance by two mentors, usually from multiple majors (sometimes even from NASA), and access to state-of-the-art facilities. Furthermore, students who are U.S. citizens will have an opportunity to participate in NASA internships by working at NASA Research Centers. This will help further develop their research skills and serve as a stepping stone for future employment at NASA. For more info, check out the brochure, cover letter, and flyer! If you have any further questions, please contact maces@ucmerced.edu. From Dr. Harding: Here's an interesting program for study overseas in Munich Germany. There are courses in Fracture & Fatigue and also Composite Materials that would definitely count toward Technical Electives in your MATE degree. Please feel free to set up an appointment to talk with me about this opportunity if you are interested. Wind Energy Opportunities in Peru! If you're interested in renewable energy, like to travel, looking for something to do this summer, and like helping people, this might be a great opportunity for you. The WindAid Program focuses on building turbines in Peru for communities without electricity. Following a phenomenal 2017 (86 volunteers from 22 countries), they have already had 44 volunteers sign up for our 2018 programs! They are delighted to be welcoming them to help install and maintain wind turbines to deliver clean, cheap energy to rural communities in Peru. While constructing and installing the wind turbines, volunteers are directly integrated into multiple opportunities including Research AND Design, Community Engagement, and Building Skills for the Future! Apply here and check out the flyer for more info! The Cal Poly Hunger Program ensures that all students have access to nutritious meals each day in order to stay focused on their education and success at Cal Poly. Any student is welcome to use these free, confidential, no-hassle services. Meal vouchers are available to students experiencing a short-term financial need. Students can dine at 19 Metro Station (an all-you-care-to-eat restaurant) during the school year and the Avenue (food court) during the summer. Vouchers are distributed at the location shown below. Fore more information, visit the Student Affairs website. The NSERC CREATE program, called Quanta (Quantum Nanotechnology Training in Alberta), is held jointly between the University of Alberta and the University of Calgary. This program is specifically designed for incoming graduate students that have an interest in developing the next generation of quantum technologies. Students can work with truly state-of-the-art equipment, such as dry dilution refrigerators, ultra-cold atom machines, Canada's best nanofabrication facilities, and a metropolitan fiber network. In addition to a rigorous academic education, graduate students will receive enhanced professional development training, to ensure that they are ready to excel in industry. For more information and to apply, see the attached poster and brochure and visit the website!